The Montreal duo Essaie pas’ newest release, Demain est un autre nuit, is very reminiscent of the old saying about March. It starts with the loud roar of a lion and finishes with the gentle introspection of a lamb. Essaie pas is comprised of husband-wife pair Marie Davidson and Pierre Guerineau, who share the duty of playing keyboard and the occasional vocal contribution. Marie comes from a long list of other musical groups, while Pierre plays the role of music engineer for bands such as Dirty Beaches and Femminielli. The duo, under this name, is signed to the notorious New York label DFA (think LCD Soundsystem). Demain est un autre nuit is pretentious dance music for the art film crowd, at times both retro (think Francophone Kraftwerk) and avant-garde. 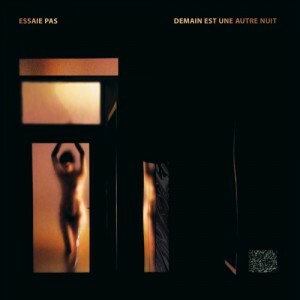 Essaie pas push the envelope just enough to provide an effortless, and commendable, blend between the retired retro sounds of the 70s and 80s European dance clubs and the new IDM and EBM scene. Hard, industrial beats feature in almost every track, overlaid with hazy synth layers and other piercing keyboard accents. Many tracks feature at least some French vocals, mostly used for punctuation and layering. Davidson and Guerineau trade off depending on the sound they want to cultivate; Davidson’s light, floating French adds a gentle, sometimes haunting touch to otherwise aggressive beats, whereas Guerineau’s deadpan transports you to 1970s Germany. 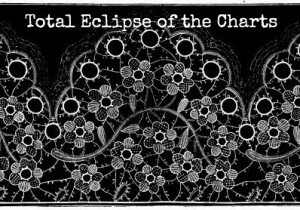 The last few tracks of the album lend a softer ply to the otherwise inflexible, unyielding pace that pervades most of Demain est une autre nuit, lending a sensual edge to the opus. Among Demain est une autre nuit, certain tracks definitely stand out. The titular track kicks off the fête with fuzz and strings, layered with haunting and incoherent lyrics supplied by Davidson. “Retox” blasts in with sirens, a hard bass beat, and Guerineau’s robotic monotone; you can almost visualize a turtlenecked crowd doing the robot under strobe lights as the track plays in the background. “Carcajou 3″ follows right after, with layered synth, hand claps, and plucked keyboards for emphasis. Davidson’s vocals are in the stratosphere, passing in and out of the rhythm. After an interlude of bare synth, the layering begins anew with added background vocals to support Davidson’s repeated “Carcajou.” “Facing the Music” is an almost entirely instrumental track, with minimalist dance beats fading in and out. The layering in this track is masterful, starting out with a simple bass and building up in delayed intervals before a monk-like chant is added in the last minute. The result is spooky, intense, and definitely unique. “La Chute,” an homage to Camus’ “The Fall,” is a simmering final track that slows the album down to a stop. 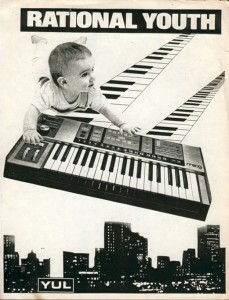 Organ-like synth accompanies a slow bass track and Guerineau’s spoken-word lyrics. Synths reminiscent of choir vocalists fade in and out, adding an almost reverent tone to the track. It is a peculiar way to end a dance album, but not an unwelcome one. Overall, Demain est une autre nuit alternates between an exhilarating and curious take on today’s dance scene. It is certainly a welcome change to the cliché dance tracks heard on the radio and in clubs, though albeit attractive to a niche crowd. Essaie pas masterfully connects the dots between the Eurodance tracks of yesteryear and the expanded keyboard options of today, creating a sound that is both nostalgic and fresh. This entry was posted in CKUT programming on March 9, 2016 by Juliana Van Amsterdam. 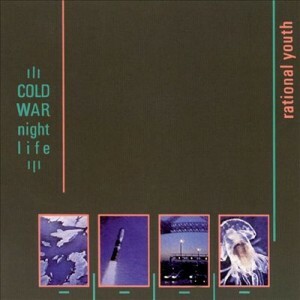 Rational Youth’s 1982 full length debut “Cold war night life,” released by the fiercely independent YUL records exactly 34 years ago this month, was Canada’s first purely synth-pop release. The album stands in contrast with the more experimental impulses and synth abstractions of countrymen Ceramic Hello and IKO while also serving as the most accessible and commercially viable release of the genre. 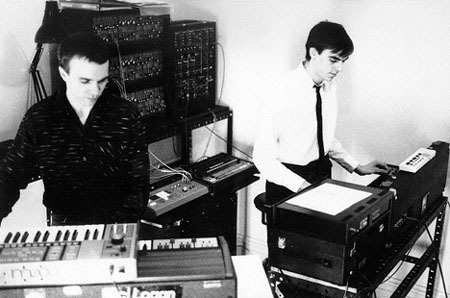 “Cold War night life” is Canada’s quintessential synth pop album rubbing shoulders with classic releases by European juggernauts such as Kraftwerk’s “Computer World” (1981), Fad Gadget’s “Under the Flag” (1982), and Human League’s “Dare” (1981). A substantial amount of the album’s 20,000 units were sold in Europe, making it one of the nation’s largest selling independent releases. 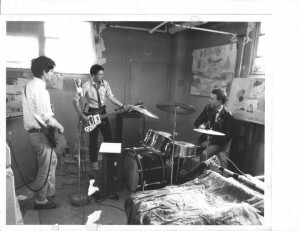 Despite the band’s Montreal origins, Rational Youth’s European connection remained significant. 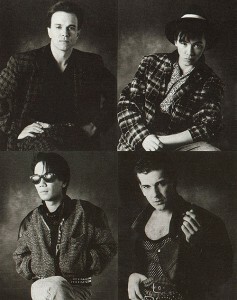 The band’s formation corresponded with the abrupt changes and experimentation that was taking place in the European new wave subculture at the beginning of the ‘80s. Rational Youth co-founder Tracy Howe’s music career began as the vocalist and drummer of various Montreal punk and new wave acts including The Normals and Heaven Seventeen, who were widely credited as being one of the first punk groups to incorporate synthesizers into their sound. Howe met University of Toronto student and fellow synth enthusiast Bill Vorn in the summer of 1981 and together the pair formed Rational Youth, allegedly taking their name from Canada’s National Youth Orchestra. In contrast to the long-standing tradition of the nations’ premier classical institution, the two were en route to consolidate new generic sounds and conventions in pop music. Vorn and Howe, just like their European peers across the pond, belonged to a generation of musicians who were racing to pawn their electric guitars for synthesizers and drum machines. Rational Youth retain the hopelessness and lapsed idealism of the Reagan years that is perhaps residual from Howe’s punk background without ever taking themselves seriously. This is particularly apparent on stand out single “Saturdays in Silesia.” This dance floor favourite illustrates the austere no-man’s land caught between two super powers: an anthem of political hopelessness and hedonist pleasures that references the mortality of all living things, providing a thematic curveball that stands at odds with the song’s raucous dance beat. This entry was posted in CKUT programming and tagged bill vorn, cold war night life, heaven seventeen, Montreal, rational youth, Synth Pop, the normals, YUL records on March 9, 2016 by Danilo Bulatovic. I saw Drag City jammers Rangda play last night and little pieces of my brain are probably still stuck on the walls of Casa del Popolo — they were that good. Chris Corsano is a hell of a drummer. Everything else in the past week paled in comparison. Has any band made you feel like that recently? If so, I wanna hear about them. Longtime CKUT contributors and local celebs Matt May and Tim Keen play in a bunch of projects together and apart, including Welter & Assoc., Mands, and Ought. Neither of them really know what they’re going to do yet on-air, but judging by their music collections you can probably expect some local gems, hopefully some special guests, and some avant jams (justly-intoned and otherwise) from around the world. Expect the unexpected every Wednesday in March from 12-2pm, or download the audio straight from the CKUT archives. 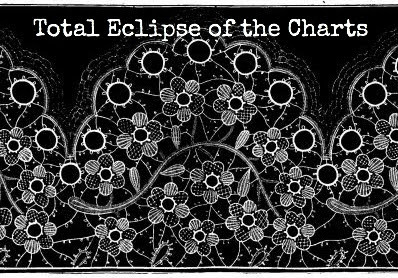 This entry was posted in Charts and tagged If You Got Ears, mands, Ought, rangda, specialty charts, top 30, total eclipse of the charts, welter & associates on March 9, 2016 by CKUT Music Coordinator.